Technical porcelain is created when tiles are fired for an extended period. The resulting tile has a water absorption of less than 0.1%, making it effectively impermeable and remarkably durable. The "technical" name comes from how this form of floor or wall tile meets the technical specifications set out by commercial or high traffic projects. If you have a commercial flooring project or one that may see a large volume of foot traffic, technical porcelain is highly advisable. The name comes from the way digital printing is used to infuse the porcelain tile with an image. Much as how television images are made up of millions of tiny dots, designs, and patterns are imprinted on digital printed porcelain using hundreds of injectors to create a glaze that gets sprayed onto the tile during production. The end result is the creation of tiles that can sport handmade effects, mosaics, fabric looks, or the reproduced looks of stone, wood, marble, or other more expensive or higher-maintenance surfaces. Digital printed tile is a popular residential tile since it can be used to create hassle-free and more durable reproductions of other materials or to provide unique, imaginative patterns. Glazed porcelain is popular in high moisture areas like bathrooms or kitchens. The glaze not only affords the tile a unique, glossy beauty, it serves as additional protection against water, mold, and mildew. They are also more scratch resistant than other forms of porcelain, making them ideal for countertops. Since the glaze is coloured, it is usually possible to find a style (glossy or not) that matches your interior design goals. 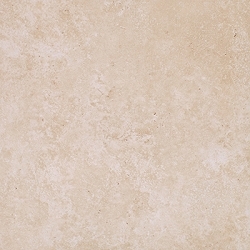 As the name implies, this is a form of full-body porcelain tile that does not feature a glaze. This gives the tile fewer visual options (since a glaze is needed to project printed images) but allows for better traction and durability. Commercial tile projects tend to prefer using unglazed tile since they are harder and denser and are less slippery than glazed alternatives. We provide our customers with a huge selection of tile patterns as well as other carpet and vinyl flooring options. Our product range includes high-quality flooring vinyl, porcelain or ceramic tile, and carpet, among a vast array of additional products, everything for a reduced price. You can find through our website beautiful porcelain options that will complete or transform the look of your home, office, or store.